Mario next to a Pepperwood rain gage. I attend Santa Rosa Junior College, majoring in Natural Sciences. 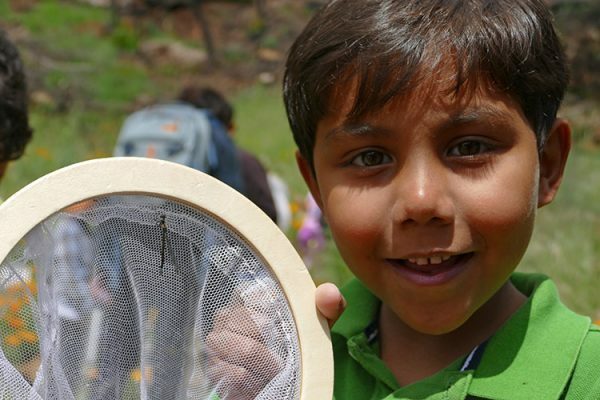 I have always had a passion for wildlife and I hope to one day become a professional guide, leading people to different parts of the world, while educating them about many different species of organisms. I specialize in identifying and natural history of birds, so I hope to be in the field that correlates with ornithology. I do not believe that there has ever been a “typical” day as a conservation intern. Our tasks differ each day, but overall the internship is based around two major components: rain gauge monitoring, and wildlife camera indexing. To start the day, we typically start out by going out in the field to collect data on the rain gauges that are placed on the preserve. 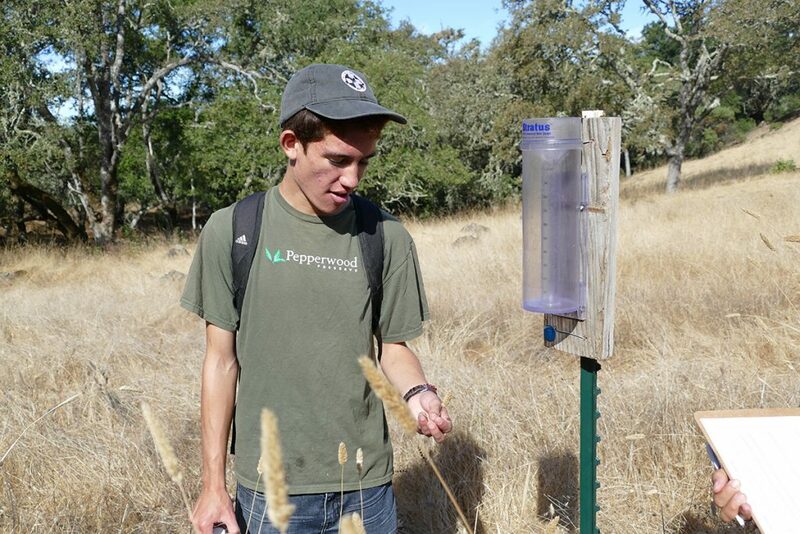 The gauges allow us to give an accurate reading of how much rainwater has been collected within a week on the preserve. We clean the tube-shaped gauge as needed, and add a coat of mineral oil so that if we are unable to monitor the gauges in a week, the oil will act as a lid to reduce evaporation of the collected water. Once we have collected our rain gauge data, we hike back to our vehicles and return to the “Science Castle” (Dwight Center) where our computers await us for intense wildlife picture cataloging. Now I may have over exaggerated on how exciting photo cataloging can be, but when pouring over thousands of images of grass shots, a tail of a skunk crossing the screen is a well cherished moment. Looking through these wildlife photos can be somewhat of a challenge, by either identifying blurry flashes of some sort of animal, counting the correct amount of individuals within a picture frame, or even determining whether an animal is actually in a frame or not. Even though we are constantly going through movement of grass photos, we are still producing data as we determine what is being captured from the wildlife cameras. 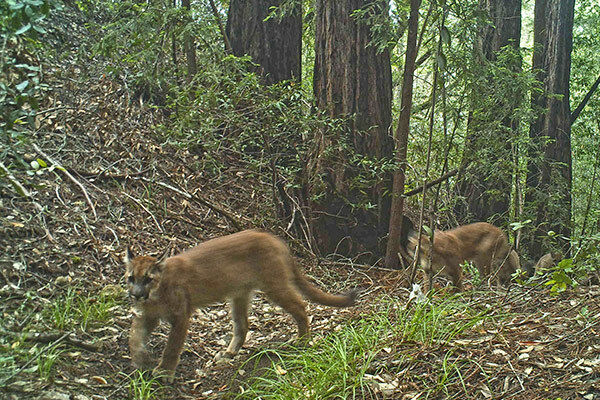 This tedious process helps determine wildlife populations through each property the cameras are stationed at (Pepperwood and Audubon Canyon Ranch’s Modini Mayacamas Preserves to the north). The collective data of the cameras gives a broad estimate of the overall wildlife population at these locations. What has surprised you about the internship? While flipping through thousands of photographs from the wildlife cameras, I am amazed at the wildlife diversity that appears. I have had one camera find about 12 species ranging from American Robins to both Striped and Spotted Skunks, to a Coyote carrying a quarter of a Deer, and even several Pumas crossing a creek that was then followed by an American Black Bear later in the morning. Flipping through these photos is a great way to keep my attention to details tuned. I have been a birder (someone that watches birds) for several years now, and to be a birder requires acute attention to details and noticing subtle differences. I am glad to be able to put this skill to use during this internship, but through experience, I find that I do miss certain details. This makes me grateful to have a fresh pair of eyes coming from Micaela, Omar, and Paulina (other interns). They catch certain details that I may miss. 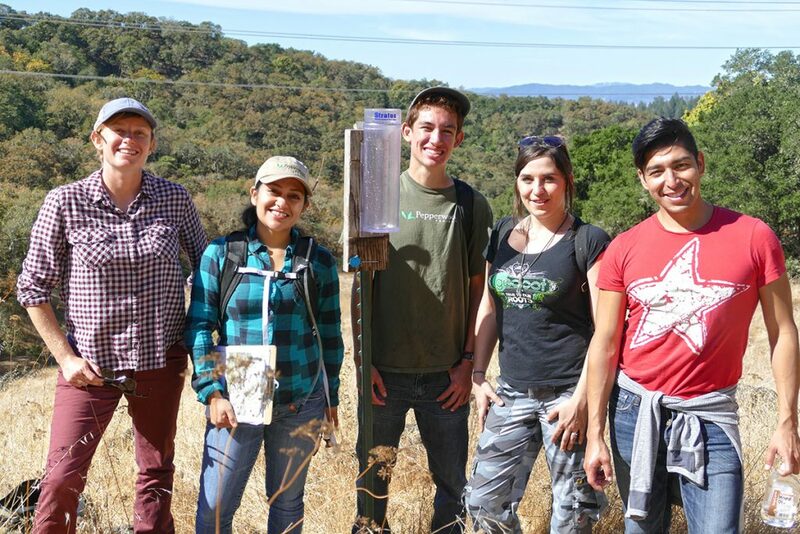 Pepperwood’s System Ecologist Celeste Dodge (left) with the 2016 Conservation Science Interns. 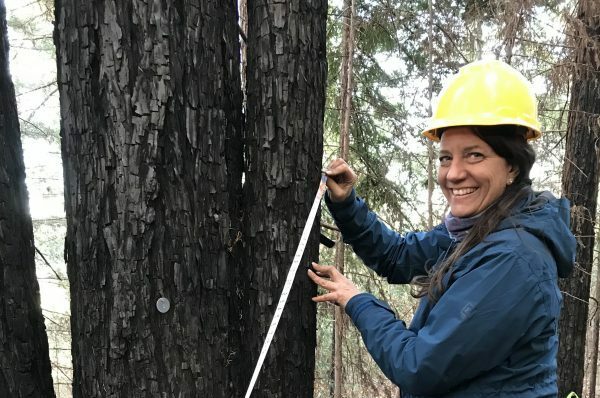 This internship has enlightened me on many different levels, incorporating nature such as environmental studies, preserve management, wildlife, conservation techniques, natural history and much more. Every opportunity that I get at Pepperwood has encouraged me to search for other organizations that have similar standards and goals. As we are hiking on the preserve, performing our usual activities, I find myself constantly wanting to share my experiences and understandings of wildlife that is found on the preserve with others. This spark has caused me to pursue my future intentions in becoming a guide and possible wildlife educator. I am now starting to find my true passion of birds and educating could be combined to lead to a possible career opportunity. 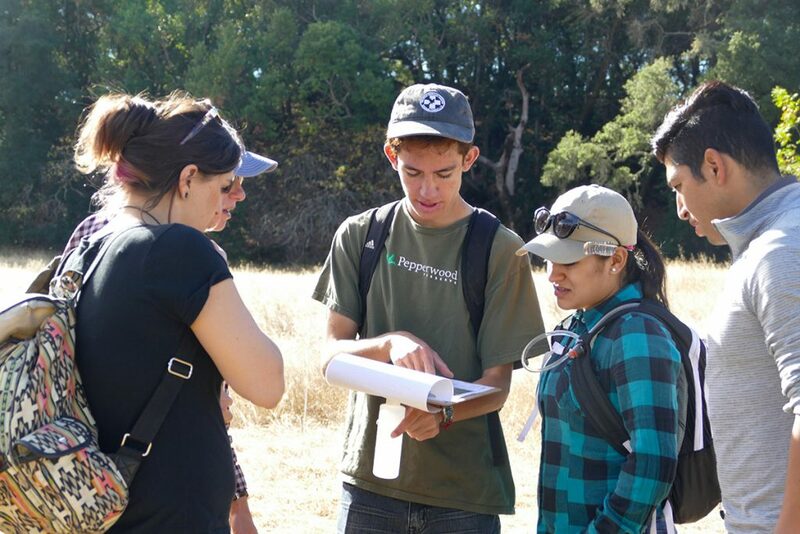 I have participated in several different opportunities at Pepperwood such as bird counts, the TeenNat internship—both as an intern and then later as a TeenNat Assistant—and now, as a SRJC student, the Conservation Science Internship. Pepperwood will always be a place that I hold most dear, and my respect for the preserve and the people that work here constantly amazes me. I recommend anyone who wants to be part of an organization that works closely with nature, wants a further understanding of our local ecosystem, wants to possibly educate the public and be part of a larger picture of conservation, to get involved with Pepperwood!